I come from a substantial family (lots of cousins and aunties), and we hold large holiday parties every year. I can’t afford gifts for each and every one of them, however, I like to show them my love! So for the past few years, I’ve made ornaments as gifts. It’s kind of my tradition now. I spend the year thinking of what to do, I enjoy making the final product, and it’s fun to pass the ornaments out when they’re all decorated! 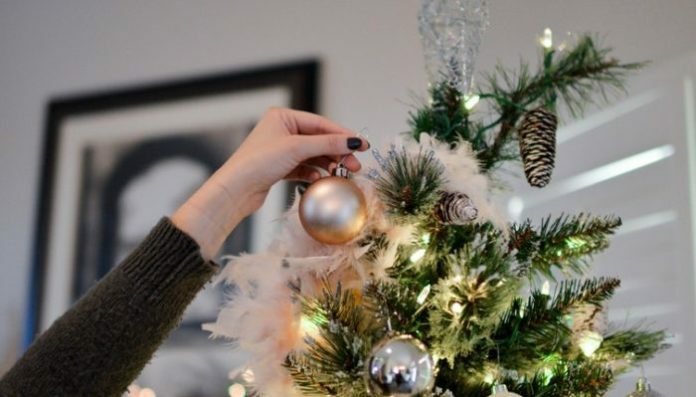 I am not overly creative or crafty, and I’m rather clumsy, so here’s a list of 6 DIY ornaments that truly are as easy to make as they seem! 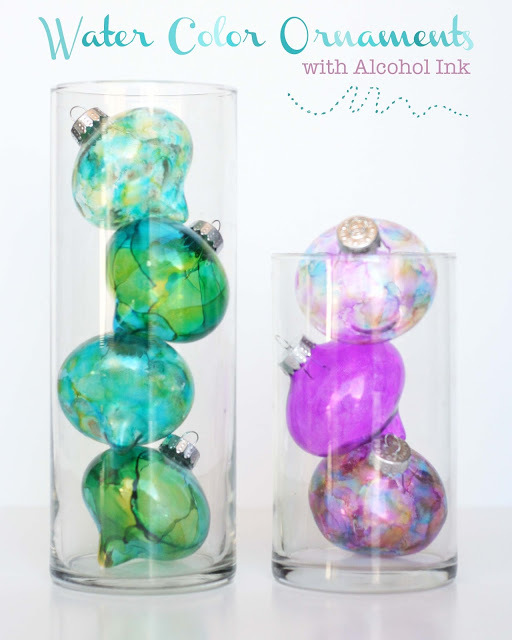 Last year, my aunt taught us how to make ornaments using alcohol paint. The unique paint clashes with the glass bulbs, resulting in a delightful watercolor look. Here are some easy DIY directions. While I was searching for the alcohol ink instructions, I came across these lovelies, and I truly can’t wait to give them a go! These bulbs are modern-unique and seem super simple to create! They’ll make great gifts for all your gal pals. 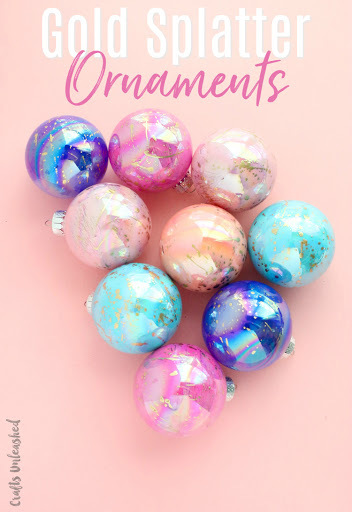 These book page ornaments were my very first DIY ornaments! (They were also my first experience with decoupage, and I am obsessed. I seriously decoupage everything now). All you need are glass or wood balls, an old book and modge podge (I added the red ribbon and sharpied the year). I swear that these are as simple as they look. They’re lots of fun to make, despite the mess you may have to clean up later. 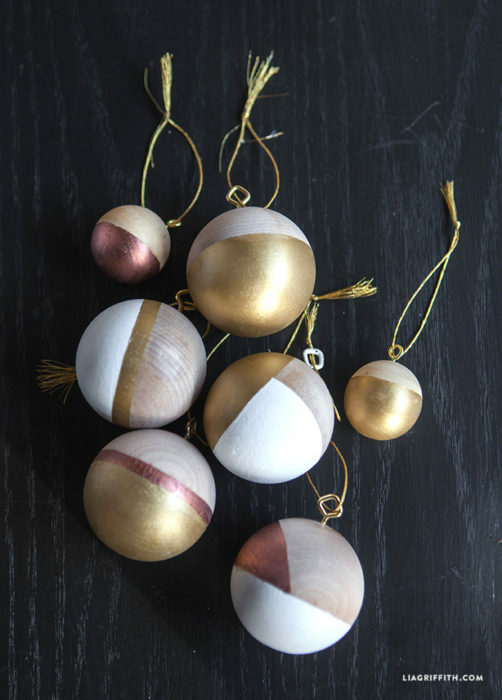 Painted wood ball ornaments were second for my DIY Ornament Tradition! I don’t have a picture of the ones I actually produced, but they looked almost identical to these! I used this tutorial, it was beyond simple! My advice for these is to be patient with your paint tape (use small washi tape if you have it), and pick out a bright white tape for the best results. Though I haven’t started these yet (only 4 weeks left! 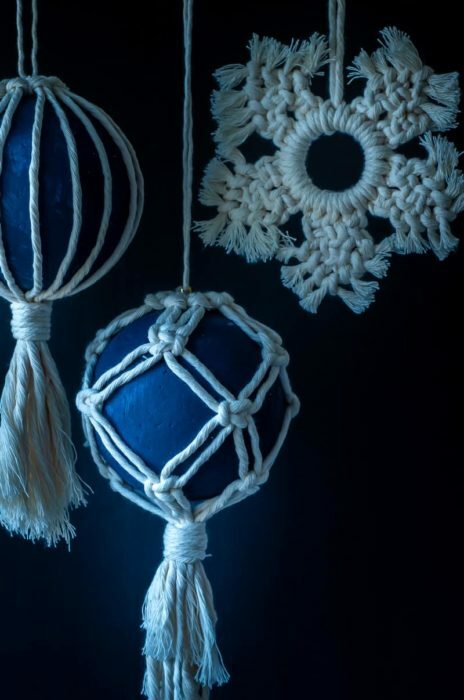 ), I plan on creating macramé ornaments for this year’s family gifts. Macrame is usually fairly easy once you grasp the concept! For me, the most difficult part is finding the right rope, and the time, obviously. You can find the video tutorial for these hip ornaments here. I’m not kidding when I say that I’m spending 2019 in thrift stores searching for salt shakers. 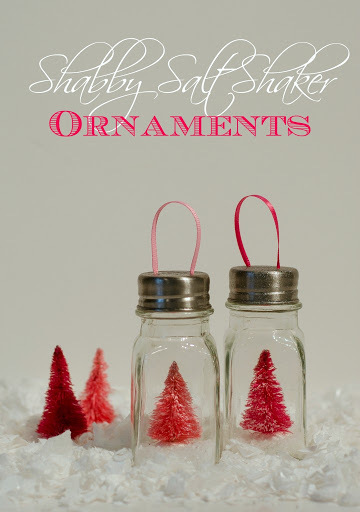 I LOVE these salt shaker ornaments, and this time next year, they will be hanging on my aunt’s Christmas tree! The picture below is fairly self-explanatory, but you can find full instructions here. 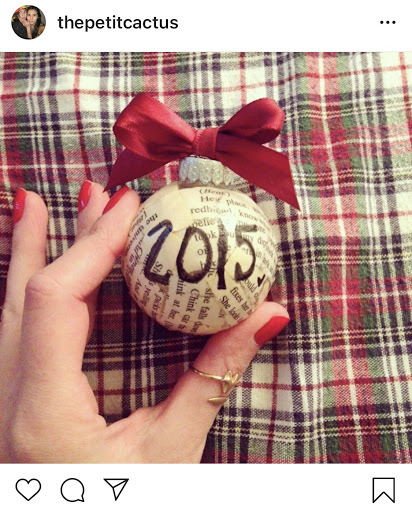 Want to find even more DIY ornament idea? There’s no better place than Pinterest! Happy crafting, and Happy Holidays!